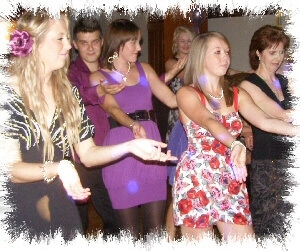 JMF Disco provides fantastic Mobile Discos in Thanet for your party. JMF Disco is owned and presented by DJ John Padmore, a reliable, experienced Mobile Disco in Thanet. My aim is to provide you with all the help you need, from your initial phone call to seeing your happy guests leaving after a wonderful nights entertainment, at your perfect party provided by Mobile Disco Thanet. JMF Disco's Mobile Disco Thanet service will provide you with the entertainment you want for your dream party - why settle for anything less? Call or email JMF Disco for your Mobile Disco Thanet to find out how I can help you. Have a look at the Celebrations page for more details of the Mobile Disco Thanet service I offer and call me to discuss how I can help make your evening very special. I like to provide my clients with that little bit more - I provide them with what they want, need and deserve for their party - it is a special occasion and should be treated as such. Doing it right requires a local DJ in Thanet with the right skills and resources that I will bring to your celebration. Contact Mobile Disco Thanet on Tel 01795 429777, Mobile 07895 546183 or by email to discuss your Mobile Disco needs or questions. Our disco for hire in Thanet service is the ideal solution for your wedding disco – check out our Wedding DJ page for more details of our expert wedding service.